We extend our hands of fellowship to all who enter these church doors and those who are part of our community. We work together to benefit our church, our community and our world. We praise God and give thanks to Him for everything. 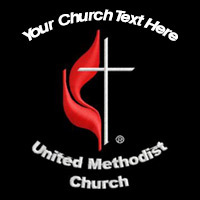 Order your UMC clothing here!